This is so simple!! 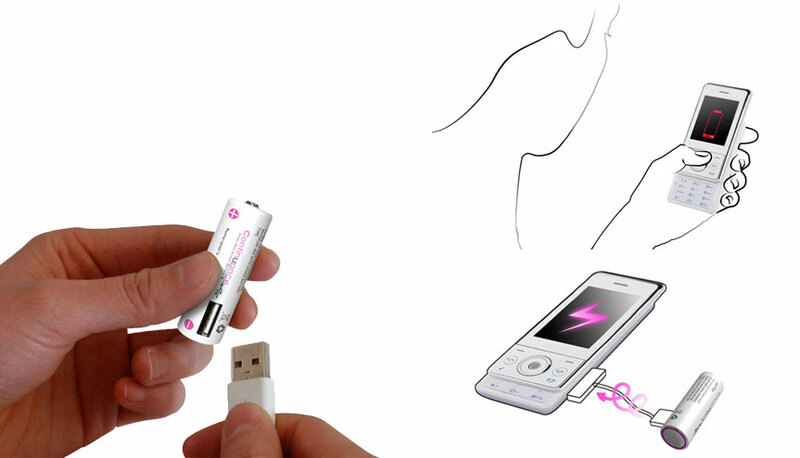 The Continuance Rechargeable Battery is AA battery with a built-in USB port so you can hook them up with your computer, smartphone, or iPod to charge on the go. In the days of smart gadgets and phones, traditional batteries with the letter size system are barely something we see and use anymore. But for those who still want to save money on batteries for your cable remote control or toy cars, rechargeable AA batteries are the way to go. In the old days, these often come with clunky standalone chargers that take up a large chunk of your power outlet strip. 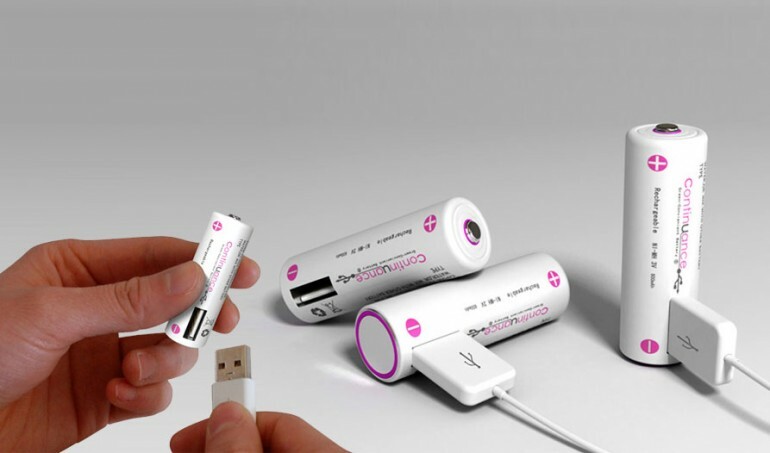 What do you think of these compact USB batteries?